Hydroponics is an ideal method of growing plants indoors and outdoors, depending on your region. Avid gardeners use it to control the environment of certain plants and to use a nutrient-rich growth method with water and fertilizers. 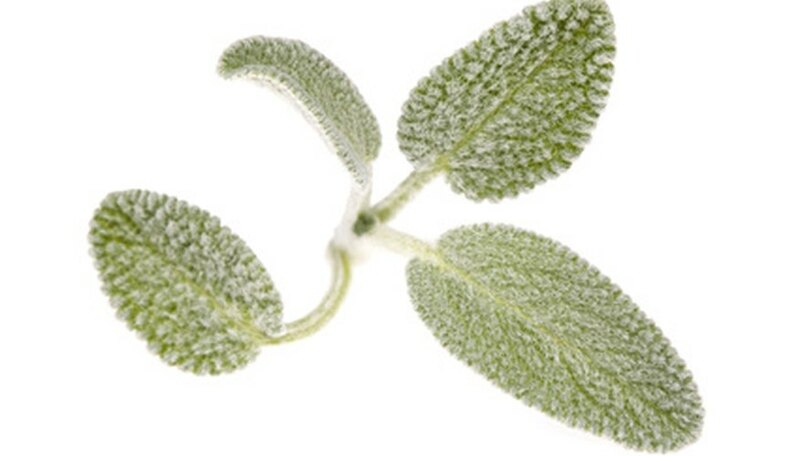 White sage is an herb that grows very well with hydroponics, and can be used for medicinal or aromatherapy purposes. One of the best hydroponic systems for beginners is the continuous flow hydroponic system. Set up the hydroponic plant stand and tray where you want them. They should be somewhere that won't be at risk for a lot of interaction with humans or animals. Fill the reservoir with the nutrient solution. Put the pump into the reservoir and connect a tube to the pump. Connect the other end of the tube to the plant tray. According to the type or brand you purchase, this method can vary, so follow the hook-up instructions that come with the tubing. Fill the plant pots with a growing medium, such as perlite, about half full. Use healthy, sturdy white sage transplants. The stems need to be thick with healthy leaves that have no holes, wilting or blemishes. Carefully remove the transplants from their containers and rinse off the root ball gently with water. Place transplants into their containers and fill the rest of the way with growing medium. Perlite is ideal for white sage because of the drainage quality it provides for hydroponics. Set the timer so that the plant trays become flooded about three times per day to hydrate the white sage. Regularly test the nutrient system's pH with the testing strips. White sage needs to have a consistent pH of around 5.5 to 6.0. If it is too low, add a bit of baking soda. If it is too high, add a bit of vinegar. Keep the hydroponic white sage in an environment of about 70 degrees Fahrenheit. You want the sage to have about 12 hours of light per day, so use grow lights if necessary. Replenish the nutrient solution every two weeks or so when it becomes a little cloudy. You can harvest the white sage when fully matured with large long leaves growing from several stems on the plant. Bundle them up to dry out.